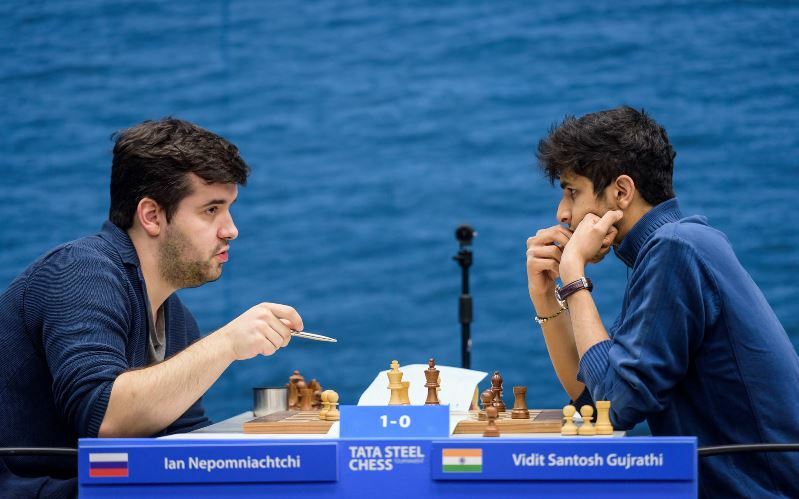 Ian Nepomniachtchi rejoined the Tata Steel Chess leaders with four rounds to go after a position Vidit seemed to have under control collapsed in a handful of moves. It looked as though that would be the day’s only decisive game, with leaders Magnus Carlsen and Vishy Anand held to solid draws, while Ding Liren missed a chance to beat Vladimir Kramnik and Anish Giri’s queen sac was defused by Jorden van Foreest. Approaching move 80, however, Vladimir Fedoseev’s persistence paid off when he caught Teimour Radjabov in a diabolic trap to return to 50%. Ian Nepomniachtchi seemed to have taken his foot off the gas after racing to two wins in the first three rounds, but a win in Round 9 puts him right back in contention for overall victory. The game started with Vidit surprising him with the Petroff Defence, but on move 7 Nepo sprung a surprise of his own by varying with 7.c3 from the “knight dance” Petroff that was seen after 7.Nd5 in Game 6 of the Carlsen-Caruana match. When you play h6 and a6 you are sort of telling the guy, punch me in the face, and he'll be surprised it's not actually possible. He just played in a classical way, which I think is not a bad way to meet it, and he was slightly better for most of the game, but I was always very solid, I think. Magnus has of course been honing his technique for a while now! The other game featuring a leader, Rapport-Anand, also saw White nursing an advantage for the whole game, but Richard Rapport was unable to make any progress. In Mamedyarov-Duda the young Polish player found a couple of accurate moves in the Vienna to equalise for an effortless draw – Shak was probably just happy to end the bleeding after two losses in three rounds. Things could have gotten crazy after Jorden van Foreest went for it with 16…Nf3+, but he soon decided to steer the game towards an ending a pawn down. He must have expected a long day at the office, but Giri said he failed to find a way to consolidate and, low on time, he decided simply to offer a draw. Of course they couldn’t stay off Twitter! 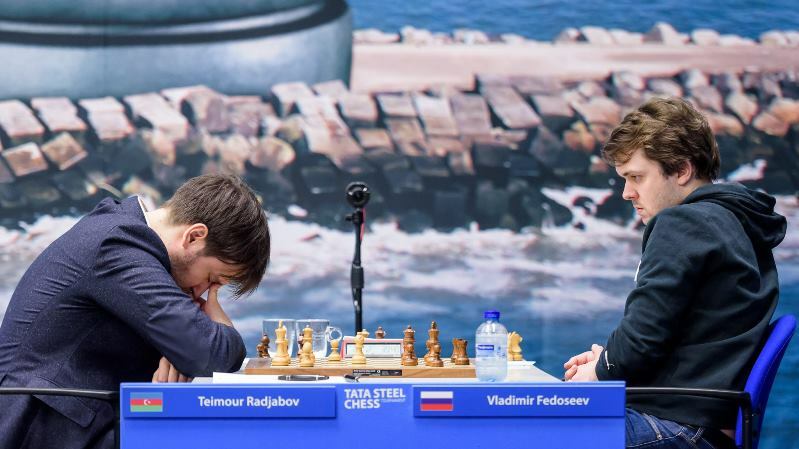 Vladimir Fedoseev is the only player in the tournament making his debut in Wijk aan Zee, and after six rounds it was proving a baptism of fire. Two games he’d have been targeting to win, against Duda and Van Foreest, ended in heavy defeats, and then in Round 7 he faced Magnus Carlsen. 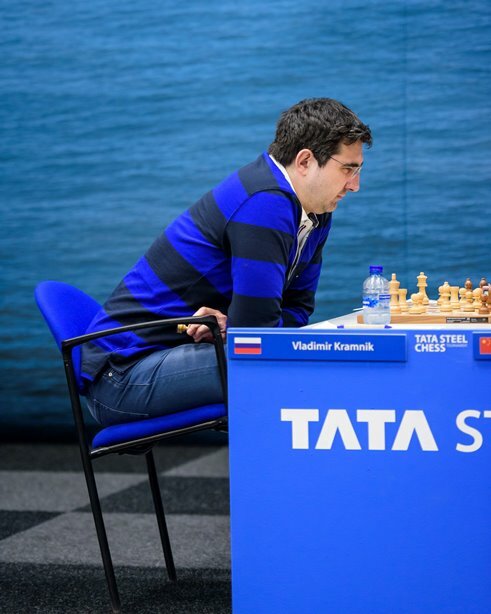 That seems to be where everything turned around for him, however, as although the game was drawn he got to torture the World Champion before outplaying Sam Shankland in Round 8. The supreme confidence that brought is one explanation the game Radjabov-Fedoseev continued so long, when for 40 or so moved it seemed neither player was really playing for anything. 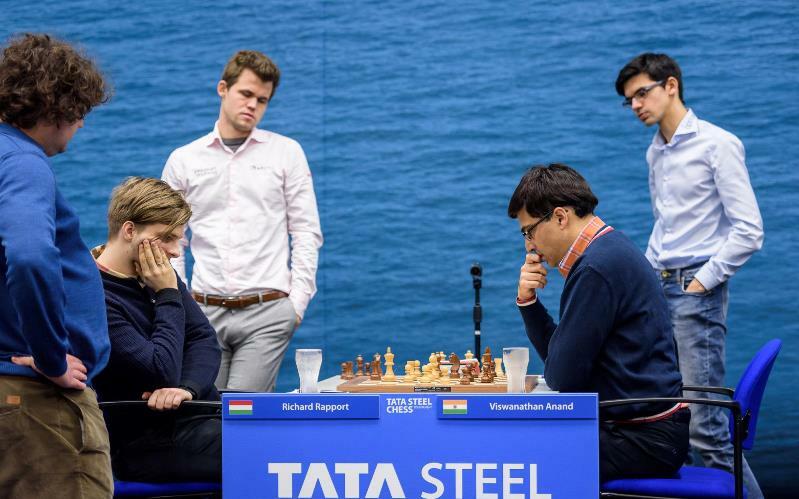 So with four rounds to go in the Tata Steel Masters Nepomniachtchi has joined Carlsen and Anand in the lead, with Ding and Giri only half a point behind. 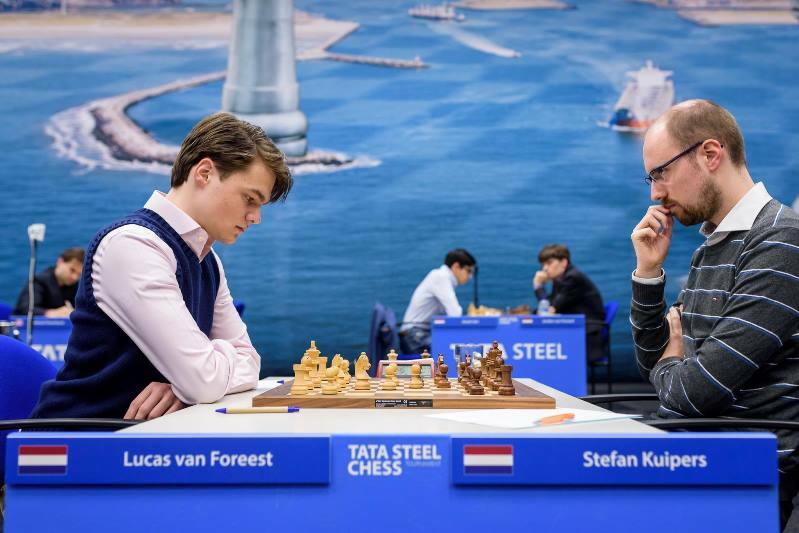 It’s notable, however, that after six losses and two draws Stefan Kuipers finally managed to grab a win, beating Lucas van Foreest with the black pieces. 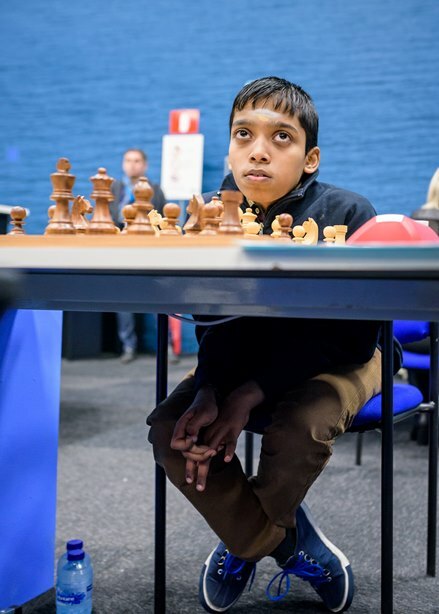 There could have been big wins for the young stars, but 12-year-old Praggnanandhaa couldn’t squeeze out a win against Anton Korobov and 14-year-old Vincent Keymer missed good chances against Evgeny Bareev. That may have deprived Vincent of the chance to finally seal his grandmaster title, though there’s no doubt it won’t be long before he picks up that title. For Round 10 the Tata Steel Masters players will again be “on tour”, this time in Leiden, with the games starting half an hour later than usual. It could be a big round, as Magnus Carlsen has White against co-leader Vishy Anand, while even with Black Ian Nepomniachtchi is sure to be aiming to beat Jorden van Foreest. Fedoseev-Giri and Ding Liren-Mamedyarov (a clash between the world numbers 3 and 4) are also big games for the race for 1st place.